I’m back up and running after my 2007 Vista operating system crashed last week. I had to bite the bullet and purchase a new desktop. I’m now transitioning from Vista to Windows 10. I’m also simultaneously trying to figure out a new phone. When I purchased the desktop, I found out that I was eligible for a free upgrade. Therefore, I’ve laid to rest two dinosaurs in less than a week. Technology sure has come a long way. What was state of the art a few years ago is ancient today. Yet, while technology continues to grow exponentially, I’m happy to say that the human body isn’t evolving nearly as fast. If you’re on Facebook, you are probably familiar with their ‘On This Day’ reminder service. The reminder is typically of a picture that you shared the same day from a previous year. Last week, I was reminded of a hill sprint path that I cleared two years before (see here). A few days later, I received a second reminder about how I added another 20 yards to the path. Seeing those pictures brought back memories. Not just memories of clearing the path, but also memories as a child. As I’ve said before, my introduction to hill sprints came as a young fan of Walter Payton. I grew up watching him dominate the National Football League. Walter Payton ran hills, so I wanted to run hills. In fact, on the day that I decided to clear the path, I started by watching the video below. I’ve shared it a few times on this blog before, and I can’t promise that I won’t share it again. It’s one of those timeless clips that always inspires me to work harder. Although it’s been over 15 years since Walter Payton passed, I still think of him when I’m out on the hills. I remind myself of his tenacity and relentless work ethic. It may sound crazy, but when I was younger, I used to pretend that he was watching me run hills. My goal was for Walter Payton to nod his head in approval. I always gave the hills everything I had. I wasn’t finished until the hill finished me. That’s how Walter Payton ran hills, so that’s how I’ve always run them as well. By now, you are probably wondering what Walter Payton and hill sprints have in common with my computer and phone upgrade. The short answer is nothing. And that’s a beautiful thing worth mentioning, particularly to the younger generation. It is nice to have something that will never be outdated. I’ll never be forced to download an update. The hill works as is and it always will. Hill sprints challenged Walter Payton and they continue to challenge me. No one will ever be too good for the hill. It will never expire. Meanwhile, much of the world has become accustomed to faster and better everything. Society has come to expect and demand regular updates. 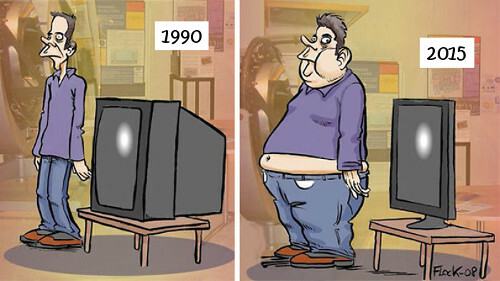 Consequently, it’s only a matter of time before today’s cars, phones, computers, and televisions are outdated and obsolete. Therefore, it’s no surprise that so many people assume that whatever was worthwhile in previous eras is no longer relevant today. That assumption could not be further from the truth. Don’t be foolish enough to compare technology with the human body. The former will continue to evolve at a much faster pace than the latter. Just because you need to upgrade your technology doesn’t mean you should rush to upgrade your training. Far too many athletes hop from one exercise program to the next long before they’ve had time to ever reap any meaningful benefits. And I strongly believe that the constant rush to change originates from our technological era. Young athletes have grown up in a world that is changing at the speed of light. It’s almost hard to blame these kids for assuming that they must constantly change. In summary, don’t let the rapid rate of technological change fool you to believe that your training is no longer relevant or useful. As I’ve said before, we aren’t the first generation to figure out how to challenge and strengthen the body. When it comes to exercise and training, new rarely equals better. 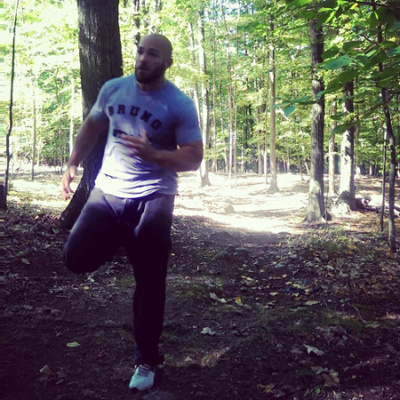 Exercises such as hill sprints haven’t stood the test of time without good reason. If they didn’t work, someone would have figured it out a long time ago. You can’t just run the hills for a week and assume you’re done however. Hard work must be coupled with consistency. In other words, you need to stick with an exercise long enough for it to produce results. Constantly jumping from one exercise to the next is perhaps the fastest way to go nowhere. Once you find what works, don’t be so quick to discard it. True gems like hill sprints will always produce results. I’ve run hills for over 20 years and credit much of my endurance to the exercise. There is no doubt that I wouldn’t be the same without them. What a great article. It seems to me that often it is the simplest of things that are the most effective. In society today we become fascinated with everything new, new labels, new machines, new methods and everything “functional.” I like these old style training examples that you are always pointing out. They work and that’s a fact. And the more effort one puts into them the more results one gets. Thanks for this Ross! I love the simplicity of this post. Technology changes, but somehow the things that work don’t. I used to follow Ross back in ’08-’09. Looking at this a few years later, I see how mistaken I was. The spirit is good but simply focusing on building the human body – a body that is so fallible and will end up either on the ground or burnt to ashes – seems too foolish. This body isn’t meant to last for a long period of time. If you speak of cultivating inner energy or spiritual tranquility as a result of these exercises, then I’m mistaken. But to build mass upon mass upon a temporal structure is highly questionable in hindsight. Everything is temporary, but that’s not an argument to not enjoy the moment/present. Growing up as an athlete, I believe sport provides a perfect example. Every game I ever played is over. That doesn’t mean I didn’t enjoy the moment while building memories that I’ll cherish forever. The fact that the game ends isn’t a reason not to play. Furthermore, I don’t think it is possible to develop the body without developing the mind. Everything is connected. Working to become a better version of yourself will always be time well spent. Regardless of how temporary life may be, I refuse to spend my time physically incapable. I’d rather live my life to the fullest and enjoy the body and mind that I’m fortunate to have. One of the reasons I follow Ross is that he doesn’t seem to focus on just the physical aspect. Things like simplicity, consistency, and determination are applicable across many areas of life. I can relate to Mr walter, i had to smile when he said i try to kill myself. I ve been there before. It definatley is humbling. On an unrelated note, I want to thank you for having a more draconian website than most of the “the internet is getting too bloated” warning websites. That ensures your page is going to load lightning fast no matter how old the computer trying to connect to the net is or how bad the net connection is. And it should be this way- you’re trying to share a message that’s super important with the world! It makes sense to make that message as easy to access as possible.